New York-NY—ZAZ10TS, an ongoing cultural initiative that integrates art into the office building, façade and exterior at 10 Times Square in New York City (1441 Broadway), and Artis, an independent nonprofit that supports contemporary artists from Israel, collaborated to present a joint exhibition, YOU NEVER KNOW, celebrating the artistic contributions of the late Israeli artist Uri Katzenstein. The exhibition will launch on January 31, 2019 with a public reception held in the lobby of ZAZ10TS’ office building at 10 Times Square, and remain open to the public and on display at the location through April 28, 2019. This event also marks the first of several commemorative events taking place in Tel Aviv, Jerusalem and Haifa, Israel, as well as New York City and Amsterdam. Uri Katzenstein focused his artistic expression on video projects and installations in the latter stages of his career. Using video allowed him to incorporate other elements from his repertoire such as sculpture, performance art and music. His video pieces, including several in the YOU NEVER KNOW exhibition, were often provocative, violent, profane and purposely confusing. Stories he told though video related to the juxtaposition of opposites such as the real and surreal, humanity and non-human objects, and relationships between disparate concepts and experiences. Mirroring the complexities and layers of life, Uri Katzenstein’s videos mixed linear storytelling with bursts of images and vignettes. He created videos to raise more questions than answers, shunning obvious clarity. Uri Katzenstein is also credited with founding a new language called “Backyard font,” developed to depict the English language graphically. Along with the YOU NEVER KNOW exhibition, ZAZ10TS and Artis will collaborate with groups to produce a series of international events celebrating Uri Katzenstein. Below is the preliminary list of activities; ZAZ10TS will post further information on its website, www.zaz10ts.com. January 2019 – University of Haifa will hold an event through its Department of Fine Art. February 2019 – The Jewish Historical Museum, Amsterdam will present a special event commemorating its past Uri Katzenstein exhibition. February 2019 – Tel Aviv Museum of Art will hold a special evening event in the museum’s Helena Rubinstein Pavilion for Contemporary Art. April 2019 – ZAZ10S and Artis will present a moderated panel in New York City on Uri Katzenstein’s lasting artistic and cultural impact, featuring noted curators and artists. Testing boundaries and forging connections between disparate ideas and concepts became a signature characteristic of Uri Katzenstein’s work. In recognition of his artistic contributions, Uri Katzenstein was honored with several awards, including the Dizengoff Prize for Plastic Arts (2017), and the Dan Sandel and Sandel Family Foundation Sculpture Award (2014), which led to his famous, large-scale solo exhibition at the Tel Aviv Museum of Art in 2015 titled Backyard. Uri Katzenstein’s work has appeared at Chelsea Art Museum, Duke University Museum of Art, Kunsthalle Dusseldorf, The Israel Museum, and Russian Museum; and at numerous galleries and theatres in Berlin, London, Moscow, New York, San Francisco and Tel Aviv among other global locations. He also participated in several leading art biennials in Instanbul; Poznan, Poland; Sao Paulo and Buenos Aires, where he was awarded first prize in 2002. In 2003, Uri Katzenstein was tapped to represent Israel at the prestigious Venice Biennale. He also began teaching in the Department of Fine Art at the University of Haifa in Haifa, Israel in 2003. The YOU NEVER KNOW exhibition will be on display at 10 Times Square and open to the public Monday to Friday, 8:00 a.m. to 10:00 p.m. ET, from January 31, 2019 to April 28, 2019. ZAZ10TS is an ongoing cultural initiative that integrates art into the office building at 10 Times Square in New York City (1441 Broadway). Conceived by Tzili Charney, ZAZ10TS employs the building’s façade, lobby interior and immediate environment to bring art and culture to the building’s community, visitors and passersby. ZAZ10TS takes pride in scouting and showcasing young and emerging talent, as well as special needs artists, as part of its programming. In addition, ZAZ10TS partners with other organizations nationally and internationally to support art. To learn more, visit www.zaz10ts.com and @zaz10ts. Artis is an independent organization that supports contemporary artists from Israel whose work addresses aesthetic, social and political questions to inspire reflection and debate. Artis believes that artists generate transformative experiences and ideas that are essential to local and global culture, and to a rapidly changing world. Artis is dedicated to advancing cultural exchange, fostering valuable connections, sharing knowledge, and creating meaningful opportunities for artists and the global art world through exhibition and residency grants, public programs, curatorial seminars, and research initiatives. To learn more, visit www.artis.art. Uri Katzenstein (1951-2018), is widely known for the inventive performance art, videos, music and sculptures he created such as Backyard, which appeared in the Tel Aviv Museum of Art, from 2013 to 2015. Uri also held exhibited at the Chelsea Art Museum and Jewish Historical Museum, Amsterdam, and at numerous museums, galleries and art biennials around the world. In addition, the multidisciplinary artist—who earned an MFA from the San Francisco School of Art and worked in New York City before returning to his native Tel Aviv—created “Backyard font,” a graphical lexicon of the English language. To learn more, visit www.urikatzenstein.com. 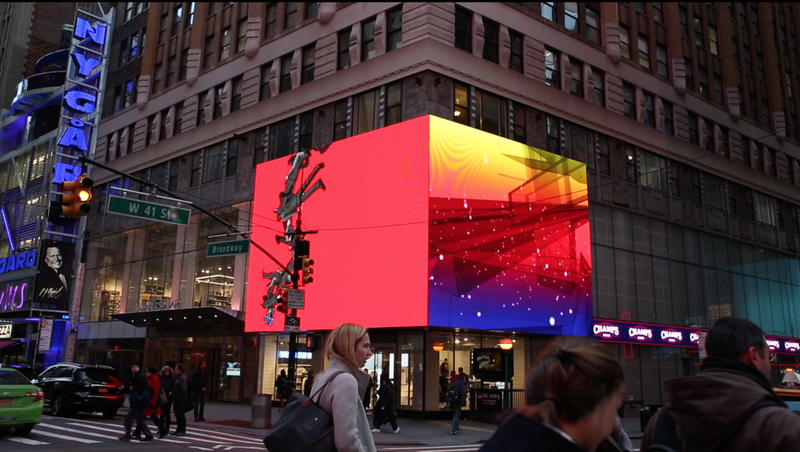 New York-NY—ZAZ10TS, an ongoing cultural initiative that integrates art into the office building, façade and exterior at 10 Times Square in New York City (1441 Broadway), is pleased to announce the one-year anniversary of its launch. Since December 2017, ZAZ10TS has continually transformed its iconic Garment District building into an art-filled space for building tenants and visitors as well as the broader public to enjoy. In so doing, ZAZ10TS has worked with more than 50 new and established artists presented through curated exhibitions, and via projects in partnership with local, national and international organizations. To date, ZAZ10TS has presented four new exhibitions showcasing a vibrant mix of sculpture, video, paintings, textiles, watercolors, fashion, photography and digital art. Each exhibition opened with a public reception with the featured artist, and remained on display in and around the building for approximately three months. ZAZ10TS also features several permanent artworks in its 10 Times Square building, and a permanent feature installation in its 1410 Broadway office building. Along with its signature exhibitions, ZAZ10TS has collaborated on several projects such as the annual Garment District Arts Festival, in partnership with the Garment District Alliance; Rapture of the Deep at the Textile Art Center in Brooklyn, New York, in partnership with curator and fashion historian Ya’ara Keydar; and My Love Answer, a multi-faceted portrait of humanity made from footage of scenes prior to terrorist attacks around the world, in partnership with the DOX Centre for Contemporary Art in Prague. Additional collaborative projects include Print Into Motion with the LeRoy Neiman Center for Print Studies based at Columbia University; sponsorship of From Anne Frank - The Graphic Diary adapted by Ari Folman and David Polonsky, in partnership with the Dwek Gallery, Mishkenot Sha'ananim based in Jerusalem; and ZAZ10TS’ first project, 24:7, a video installation of digital media created by artists from around the world that was dually exhibited in New York City and Jerusalem, also in collaboration with the Dwek Gallery. Diversity of media and the artists behind the innovative works is a hallmark of ZAZ10TS’ vision to celebrate art as an accessible, everyday experience. Artwork featured in its inaugural year represented this breadth and depth of expression. Thus, in celebration of the one-year milestone, ZAZ10TS released a commemorative video of artist interviews from the 24:7 project. ZAZ10TS offers free entry to the lobby of its 10 Times Square building, which is open to the public Monday to Friday, from 8:00 a.m. to 10:00 p.m. EST. Visitors can experience external art pieces at all times on the façade and in outside spaces. For a full listing of current and past art exhibitions and projects, and to learn more about the cultural initiative, visit www.zaz10ts.com. NEW YORK–NY— ZAZ10TS, an ongoing cultural initiative that integrates art into the office building at 10 Times Square in New York City (1441 Broadway), is pleased to present “Claudia Alvarez: A Moment In Between,” a new exhibition by internationally recognized Mexican-American artist, Claudia Alvarez, featuring watercolors and several new pieces showing for the first time, including the “Wading” video and two ceramic sculptures titled “Sitting” and “Untitled.” Tzili Charney, founder of ZAZ10TS, curated the exhibition that will run from Thursday, November 1, 2018 to Monday, January 28, 2019 at ZAZ10TS’ 10 Times Square office building located at 1441 Broadway in New York City. ZAZ10TS will host an opening reception for the “Claudia Alvarez: A Moment In Between,” exhibition on Thursday, November 1, 2018 from 6:00 p.m. to 8:00 p.m. in the lobby of its 10 Times Square property. The reception is open to members of the media, as well as building tenants, visitors and the broader public. During the reception, Claudia Alvarez will be available to discuss the exhibition, from individual pieces to the inspiration behind her work, with Tzili Charney on hand to discuss the curatorial process. Claudia Alvarez created “A Moment In Between” to capture a suspended time in our collective consciousness, where we grapple with universal themes like the struggle for power, vulnerability and violence, youth and aging, and even immigration. As with the pieces included in the new exhibition, her work features child bodies with adult faces, posing with adult characteristics. Her use of this convention serves as a means of simplifying the complexities of the world by viewing life experiences from the perspective of a child, focusing attention on elements of human nature evoked by the pieces she has created. Ultimately, the “Claudia Alvarez: A Moment In Between” exhibition is a social reflection on humanity and how we react in a given moment. The “Untitled” sculpture shows a girl sitting on a stool, with her eyes closed, immersed in her own thoughts. Her body is washed with porcelain. The “Sitting” sculpture sits on the floor and depicts a young girl with eyes painted black, looking off to some undefined object or moment. Her body is brushed with porcelain, and the small scale speaks to collective memory and vulnerabilities. The “Wading” video explores the potential of sculpture outside a gallery space and invites viewers to mediate between time and space. ZAZ10TS incorporated an earlier sculpture from Claudia Alvarez as part of the permanent, built-in art collection at its 10 Times Square office building. “Boxing Girl,” an oil on bronze sculpture, debuted in the lobby of the building in December 2017 and shows a young girl in a boxing stance, wearing red gloves, in a state of readiness. Claudia Alvarez is a Mexican-American artist whose work addresses how social, political and psychological structures impact our behavior and personal interactions. Through sculpture, watercolor, video and other media, Alvarez often depicts young children with adult characteristics and mannerisms as a means of tackling issues relating to violence, empowerment and endurance, and what they reveal about human nature. Born in Mexico, Alvarez emigrated to the United States at age three and settled in the California Central Valley with her family. Alvarez worked in the medical profession for 12 years before changing course to earn a Bachelor of Art degree in Fine Art from the University of California, Davis and a Master of Fine Art degree from the California College of Art in San Francisco. Alvarez is currently a Visiting Assistant Professor at Pratt Institute, and a Lecturer at New York University. She lives and works in New York City. To learn more, visit claudiaalvarez.org. NEW YORK–NY— ZAZ10TS, an ongoing cultural initiative that integrates art into the office building at 10 Times Square in New York City (1441 Broadway), is pleased to announce its partnership with the Garment District Alliance to present a series of signature exhibitions and performances as part of the 15th Annual Garden District Arts Festival, taking place October 18-20, 2018, in celebration of the history and ongoing vitality of one of the City’s most important business improvement districts. ZAZ10TS will host the Festival Kick-Off Reception in the lobby of its 10 Times Square office building on October 18, 2018, beginning at 6:00 p.m., where local government officials, business leaders, members of the artistic community and other participants will be in attendance. The general public is also invited to participate. During the reception and throughout the Festival, guests can visit ZAZ10TS’ famed “MASKIT x EYAL NEVO: MOUNT SODOM” exhibition, featuring video and photography about the storied Israeli fashion house and its latest collection. Sharon Tal, MASKIT’s transformative creative director who previously designed with Alexander McQueen, collaborated with celebrated Israeli fashion photographer Eyal Nevo to present a unique cultural experience at the intersection of fashion, art, history and place. The “MASKIT x EYAL NEVO: MOUNT SODOM” exhibition that ZAZ10TS launched during New York Fashion Week will serve as the flagship exhibition for ZAZ10TS’ participation in the Festival. In addition, ZAZ10TS will screen a selection of videos from 24 artists, based in New York City and from around the world, in a special presentation that will air in a continuous loop on the plasma screen billboard above the Champs Sports located at the corner of 41st Street and Broadway. Artist Davis Henry and fashion photographer Eyal Nevo are part of the video collection, along with several others such as Malin Abrahamsson, Eva Davidova, Dana Levy, Uri Katzenstein and Nandipha Mntambo. “Software Mirror” is a digital art piece that changes and responds to the presence and point of view of the viewer, created by Daniel Rozin, an artist, educator and developer working in the area of interactive digital art. “Boxing Girl” is an oil on bronze sculpture created by Claudia Alvarez, an artist who explores how social, political and psychological structures impact our behavior and personal interactions. “Untitled Sculpture,” created by Julio de Rio and Karen May, who are part of an art center helping adult disabled artists, Nurturing Independence Through Artistic Development, or NIAD. The “Goomar” reception desk is a creation from Stephanie Odegard, who works to preserve rare artistic traditions from around the world to assist artisans in developing countries. “My Magic Wall,” is an installation of portraits and patterns paintings created by Basmat Levin, an artist dually based in New York City and Shanghai. The wall installation will be on permanent display at ZAZ10TS’ office building located at 1410 Broadway. Also available in the lobby of ZAZ10TS’ 1410 Broadway property is a Historical Fashion Photography Tour, celebrating the many fashion houses at home in the Garment District. Contemporary artist Davis Henry will stage “The Contrast,” a multi-media presentation that includes video and a movement performance taking place at the plaza along Broadway from 40th Street to 41st Street, beginning at 6:30 p.m.
ZAZ10TS collaborated with SMF Global Consultants, Chernaya Media Group and Bravo Media to present a fashion exhibition in its 575 7th Avenue retail space that connects high-end fashion with cutting-edge technology to create an immersive fashion experience. For the full schedule of ZAZ10TS events taking place during the 15th Annual Garment District Arts Festival, visit www.zaz10ts.com/garmentartfest18/. The Garment District Alliance serves New York’s storied Garment District, in the heart of Midtown Manhattan. Working in partnership with local building owners and businesses, we improve the quality of life and economic vitality in this authentic New York neighborhood. The Garment District Alliance, formerly the Fashion Center BID, is a not-for-profit corporation, established in 1993. To learn more, visit http://garmentdistrict.nyc. NEW YORK–NY—ZAZ10TS is delighted to present MASKIT IN COLLABORATION WITH EYAL NEVO: MOUNT SODOM a large-scale art project between the fabled fashion house and the celebrated Israeli fashion photographer Eyal Nevo. Conceived by former Alexander McQueen designer and current MASKIT artistic director Sharon Tal together with Nevo, Mount Sodom will be on view from September 6 through October 16, 2018 in the new lobby space at 1441 Broadway in the heart of New York’s fashion district, coinciding with New York Fashion Week. The exhibition brings together full-color photographs and film from the exceptional collaborative project, photographed and filmed against the dramatic backdrop of Sodom in the Judean desert, and featuring MASKIT’s Spring/Summer 2019 collection The Desert of Sodom against the decadent beauty of the ancient land. The 6-minute video features the Inbal Dance Theater—Israel’s first contemporary dance company, choreographed by Mor Shani and produced and directed exclusively by Eyal Nevo for MASKIT. Mount Sodom is inspired by the myths of the ancient city of Sodom and the contradictions of a land that at once both attracts and repels with the silence and violence of the its landscape, magical presence of biblical history and forceful aesthetics of industrialization. Maskit is a luxury fashion house with a unique origin. Conceived in 1954 by Ruth Dayan, Maskit made contemporary luxury clothing utilizing traditional embroidery. Maskit designs came to be treasured by leading ladies such as Audrey Hepburn and collaborations with Christian Dior, Yves Saint Laurent, and Givenchy followed, as did a flagship store in New York City. Bergdorf, Neiman Marcus, Saks – all carried the brand and admired their vision. Sharon Tal and her life partner Nir Tal collaborated with Ruth Dayan, and Lynn and Stef Wertheimer to relaunch the brand in 2013. Formerly under Alexander McQueen and working directly under Alber Elbaz at Lanvin prior, Sharon took the helm of MASKIT in 2014, with blessing and input from Ms. Dayan. Together, they have launched several successful collections and shown internationally, honoring and innovating, revitalizing a brand while earning plaudits for their striking designs. Eyal Nevo lives and works in Tel Aviv, Israel, and is one of the country’s leading fashion photographers, best-known for both his editorial and brand work. His work has appeared in Condé Nast Traveler, ELLE, Marie Claire among others. Nevo has created successful campaigns for major Israeli brands and collaborates closely with top Israeli model Bar Rafaeli, shooting most of her Israeli campaigns and editorials. He continues to expand his portfolio to direct and shoot commercials and film, bringing his unique cinematic vision and fine art aesthetic into the fashion world. MASKIT x EYAL NEVO: MOUNT SODOM is organized by Tzili Charney as part of ZAZ10TS. Sara Berman, Lint Sweater 1, 2018, lint on canvas. 34.x2 x 25.1 in (87 x 64 cm). Courtesy the artist and ZAZ10TS. NEW YORK–NY—ZAZ10TS is pleased to present an exhibition of lint on canvas works by London-based artist Sara Berman (b.1975) opening July 11 and on view through September 2018 in the new lobby space at 10 Times Square (aka 1441 Broadway). Titled Between Community and Commerce, the exhibition presents works that explore Berman’s interest in repetition, textiles and patterning, in addition to her deeply held curiosity in social and cultural signifiers, in this case the intimacy of the body in a world of consumption and commerce. Berman, formerly a fashion designer, holds a strong affinity for fabrics, matter and clothing. Her interest in lint as a medium began after an experiment with denim caused her domestic dryer to break, leaving her with a large handful of blue lint which subsequently caught her imagination. She began to ask friends and fellow students to bring her their lint, and each day, would be handed a ball of their “personal detritus”. Caught by the intimacy of this “byproduct of cleanliness” and by the body memory inherent in it, Berman was led to further experimentations at a local London dry cleaners with large industrial machines. There, a pattern emerged of the larger machines wielding sizeable unbroken swathes of lint, which appeared to present consistently to the artist in the form of a one-dimensional sweater. In collaborating with ZAZ10TS Berman seeks to highlight the communal aspect of this new body of work. The use of the lobby at 10 Times Square—a public space which leads through the center of New York to the Fashion District, the home of so many globalized manufacturing decision makers—is for Berman a fitting showcase for a work which centers on the intimacy of the body in a world of mass consumption and commerce. SARA BERMAN: Between Community and Commerce is curated by Tamar Dresdner and organized by Tzili Charney as part of ZAZ10TS. Sara Berman (b.1975) lives and works in London; she completed her MFA at Slade School of Art, UCL in June 2016 where she was awarded a distinction and the Audrey Wykeham prize for painting. Previously Berman worked as a fashion designer and consultant. After studying fashion design at Central Saint Martins, she founded her eponymous fashion brand and worked as a design consultant to a variety of fashion and design companies. A long and deeply held interest in the conversation between design, commerce and identity informs her artistic practice. She has most recently exhibited at Sapar Contemporary, New York (2017); Royal Academy Summer Exhibition, London (2017); Galerie Huit, Hong Kong (2017), and Gallery 46, London (2016). Between Community and Commerce follows the artist’s upcoming Summer 2018 at Anat Ebgi Gallery, Los Angeles. Tamar Dresdner is an independent curator based in Tel Aviv, Israel. 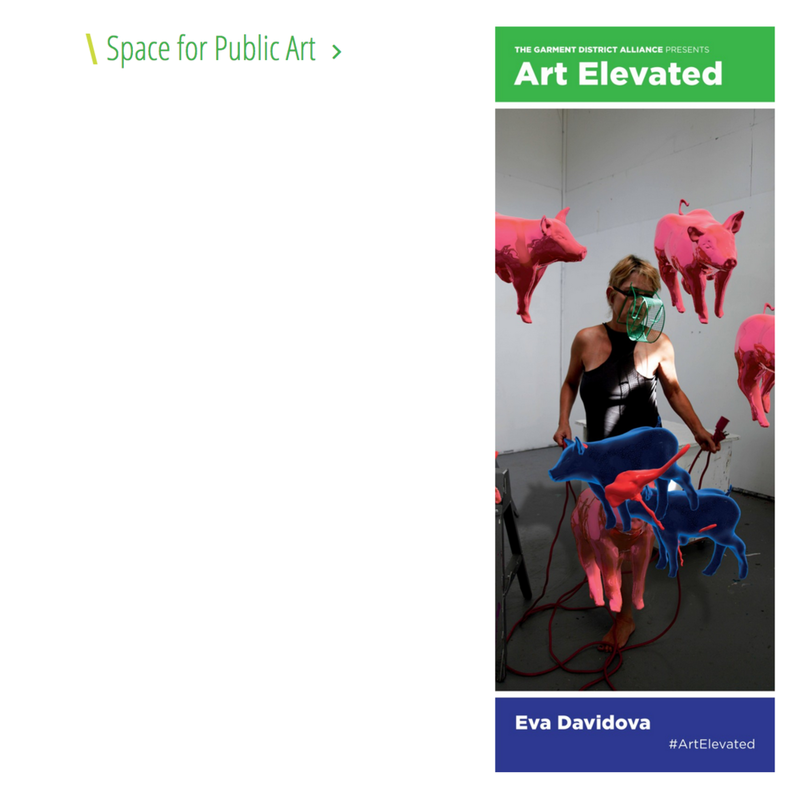 She has curated numerous exhibitions including Andreas Golinski solo show Remains (2011); Barbara Probst solo show What Really Happened (2012); No Such Street in Haifa, Haifa Museum, Haifa (2013); Food Chain Project, Special Projects, Expo Chicago, Chicago (2017); Batia Shani, Volta, New York (2017); among others. Dresdner also curated video works by African artists including Nadipha Mntambo, Lawrence Lemaoana and Mary Sibande among others for 24:7— ZAZ10TS’ first public art initiative. She was the cofounder and managing partner of Tavi Dresdner Gallery Tel Aviv (2006-2011), and curator of the Canit Corporate Art Collection, Tel Aviv prior. She has been curator of the Norman Hotel Art Collection, Tel Aviv since 2011. Dresdner began her career at the Institute of Contemporary Art, Boston and holds a BA in Political Science and an MA in Art History from Tel Aviv University. Image: Sara Berman, Lint Sweater 1, 2018, lint on canvas. 34.x2 x 25.1 in (87 x 64 cm). Courtesy the artist and ZAZ10TS. (December 4, 2017) New York, NY - An international consortium of artists has taken over a new billboard at the corner of 41st St and Broadway. The first in a series of initiatives by producer Tzili Charney, “24:7” is a round-the-clock video art performance testing the power of the medium to meaningfully engage the public. “24:7” takes place under the auspices of ZAZ 10TS, an art environment at the soon to be completed 10 Times Square, which intends to blur the line between public and private space to bring art to passers-by. Charney advocates for "art as a way of life, built into buildings" and is thrilled to launch this exciting first project in such a dynamic urban space. “24:7” is produced by Tzili Charney and ZAZ 10TS and is organized by Artis, Ayelet Danielle Aldouby, Tzili Charney, Danspace Project, Tamar Dresdner, Tamar Ettun and Naomi Lev. Works appearing courtesy of Artis and Danspace Project are marked accordingly. Below, please find the full list of participating artists.